Thousands of people helped light up Royal Leamington Spa at the town’s sixth annual Lantern Parade. Hundreds of handmade lanterns marched through the town for a magical display of creativity leading from the Royal Pump Rooms and culminating around the Tree of Lights at the Town Hall. This year saw the arrival of a spectacular lantern train built by local families with the support of Jaguar Land Rover which led the parade. Entertainment was provided by local singer David Harrop, the Royal Spa Brass Band and the Baptist Church Choir who helped spread the festive cheer by performing a host of Christmas carols. Creative support during the workshops was provided by Fran Godwin from Community Arts Workshop, who has supported the event from its inception as well as Bill Sankey. 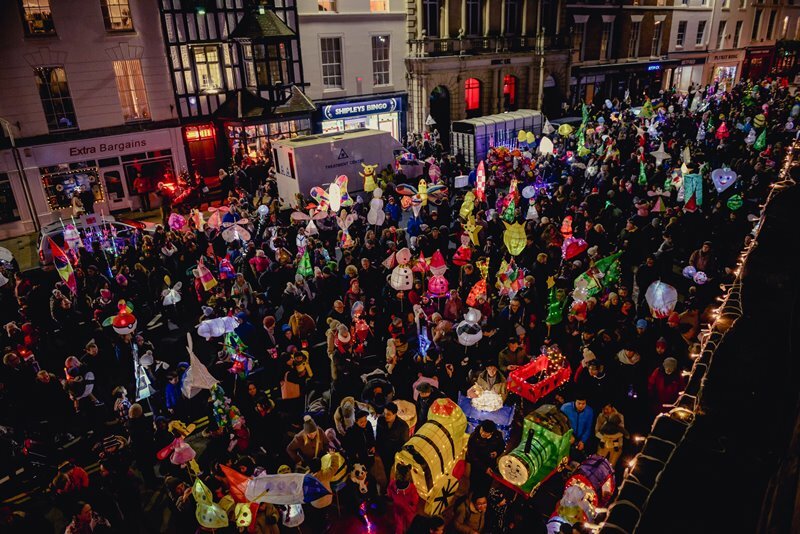 Stephanie Kerr, from BID Leamington, which organises the Lantern Parade, said: “This year’s parade was another spectacular event which saw people of all ages showcase their incredible creations. “As always, we had an excellent turnout, with hundreds of local families taking part and getting into the festive spirit. “We also held a Christmas toy appeal to collect toys which will be distributed to local children for Christmas. “Special thanks also to all the volunteers and families who help make this event possible. “This year we had volunteers from Warwick University and the Rotary Club and we were also grateful for the use of The Band Factory and Pump Rooms for our workshops”. Next year the Lantern Parade is planned for Sunday 3rd December.